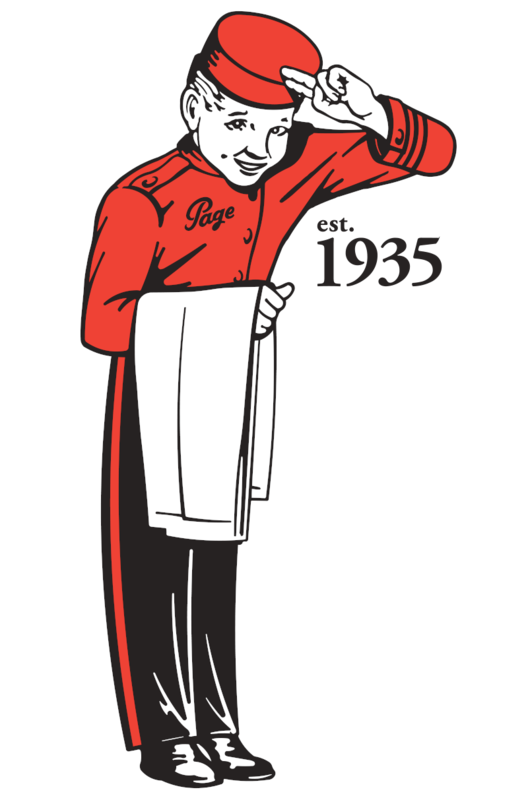 Page the Cleaner is an Edmonton-based family owned dry cleaner that has served Albertans since 1935. We have grown from a one shop personal cleaner to become Alberta’s leading dry cleaner with many stores in Edmonton and St. Albert and over 200 drop locations across central Alberta. We also offer pick-up and delivery to your home or office at no extra charge. In addition to dry cleaning, commercial laundry and industrial garment cleaning, we also clean specialty items such as leather garments, draperies and wedding dresses, and we offer a full range of garment repairs and alterations. Page the Cleaner has conscientious and courteous delivery people that offer an unmatched level of service. One of our Page Valet staff will be happy to come to your home or workplace to pick up and drop off your cleaning for the same price as if you came right into a Page store. Using Page Valet couldn’t be simpler. Just fill out your pick up request, or dial 780-444-PAGE (7243) and let Page do the rest. We’ll open your account and drop off a personalized Page Valet laundry bag. If you have a high volume of cleaning, a regular stop can be scheduled. For on demand service, you can request a pickup online or by phone. We’ll schedule your stop, pick-up your order and return your items professionally cleaned to your specifications and properly packaged. If you would like your garments folded for convenient packing, just ask – there’s no extra charge. As a longstanding local corporate citizen Page the Cleaner has a deep commitment to local community betterment programs. Our staff back this commitment with countless hours of donated personal time every year. One of our most well known initiatives is the long running United Way’s Coats for Kids and Families™ program. Over the years Page has cleaned over one hundred thousand coats that deserving local kids and families have received each fall via distribution through participating United Way community service agencies. Gently worn winter wear for kids and adults, can be dropped off at any of our locations between from October through January. "Have questions? CALL 780- 444-PAGE (7243) "